What are the uses of umbilical cord blood, and why is it so important? Umbilical cord blood is simply the blood that is left in the placenta and the attached umbilical cord after childbirth. This blood is often collected and retained after birth. The reasons for this practice are numerous, but mainly, it is because the blood from the umbilical cord is an extremely rich source of hematopoietic stem cells as well as red blood cells, white blood cells, plasma and platelets. These stem cells are in basic terms, the beginnings of full blood cells. They are incredibly useful and can be used to treat a variety of genetic disorders that affect the blood and the immune system. Umbilical cord stem cells have also been used to treat patients with certain types of cancers and other serious disorders such as aplastic anaemia. 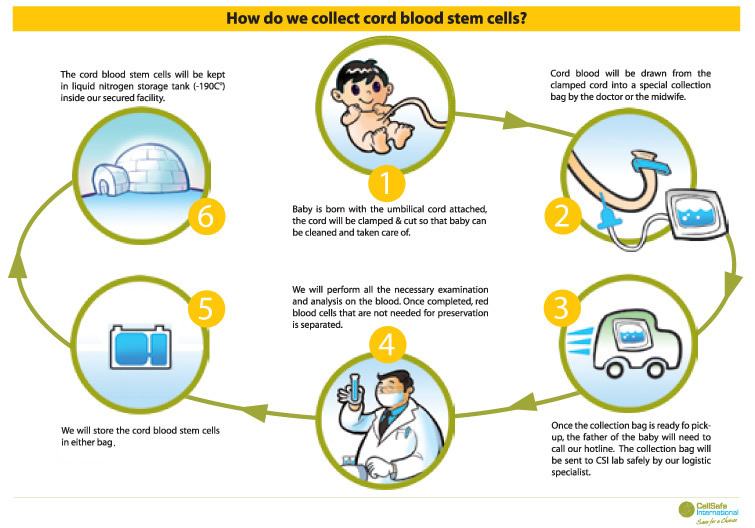 What exactly are Umbilical Cord Blood Stem Cells? Stem cells are defined as immature cells that have the natural ability to reproduce themselves and therefore, to become many different kinds of mature cells. There are several types of stem cells that can be collected from different areas of the body. The ones in the umbilical cord are the same ones found in bone marrow, known as hematopoietic stem cells. Although, technically, the stem cells found in an umbilical cord and in bone marrow are the same, umbilical cord stem cells are much more sought after. This is because they are about as immature as stem cells can get giving them huge reproductive capabilities. Bone marrow stem cells are still incredibly useful but they are far mature and there would be a much larger chance of the recipient’s body rejecting the cells. How is Umbilical Cord Blood Collected? The method used to collect cord blood is known as the closed technique. This method requires the vein of the severed umbilical cord to be cannulated using a needle connected to a blood blag. The blood will then flow through the needle into the bag and around 75 ml of blood will be able to be collected using this method. It is also possible to collect other stem cells from the umbilical cord at the time of delivery. These cells are called mesenchymal stem cells and are found in the tissue of the umbilical cord. 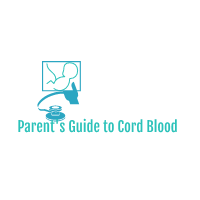 The blood that has been collected from the severed umbilical cord will often be stored in a cord blood bank so that it can be used in the future. Many parents choose to have their cord blood banked because it could protect their children from genetic diseases in the future. Some banks may be under the public healthcare system, however, many are private and will charge a fee to parents wishing to use the service. Many medical associations will dispute the benefits of cord blood banking and will often say that the costs definitely outweigh the benefits, however, it is still a relatively common occurrence, and private cord banking has become a very lucrative business. However, the odds that the child the blood was taken from will ever need to use it are extremely small. In fact, according to researchers, it’s as small as one in 2,700. The prices charged for stem cell storage vary widely between the bank used. However. the cost can reach as much as $1,800 for the initial processing fee and a further annual storage fee of $100. Properly maintained blood can be stored for as long as 10 years, so the cost soon adds up. Umbilical cord blood falls under the category of Human Cells, Tissues and Cellular and Tissue Based Products, therefore, in the United States, this blood and the banks that hold it are regulated by the Food and Drug Administration. Any operating cord blood bank is required to achieve accreditation status and if they don’t, then they will not be legally permitted to collect cord blood at all. What is Umbilical Cord Blood Testing? If all of the levels report to be within the normal range, then the blood of the baby will be determined as healthy. However, if there are any discrepancies that indicate abnormal results then this could be sign of birth defects or genetic disorders. In order for the results to be determined as abnormal there must be a pH level of less than 7.10 meaning that the level of acid in the blood of the baby is higher than the normal range. This high level of acidity is often caused by a lack of oxygen reaching the baby during labor, which could have resulted from the umbilical cord being compressed during delivery. If the blood culture levels report as being positive for bacteria, then this is a strong indication of a blood infection such as septicaemia which can be extremely dangerous to both the baby and the mother. High levels of blood sugar are common in new-born’s when the mother suffers from diabetes. This is not necessarily serious, but doctors will keep an eye on the baby in case hypoglycaemia occurs later on. High levels of bilirubin could indicate various types of infections that babies can contract prior to birth. These infections include; congenital CMV, congenital hepatitis, congenital rubella and congenital toxoplasmosis. How to Donate Umbilical Cord Blood? Although, there are many parents that will choose to store their umbilical cord blood in case their child or any subsequent children need it in the future, there are also many parents that choose to donate their blood in order to be of use to other children and adults suffering from serious health conditions such as lymphoma. Donating umbilical cord blood is a completely safe and straightforward process and causes no distress to the mother whatsoever. Once the birthing process is over and the placenta has been delivered, the umbilical cord will be clamped and cut. Once the entire placenta and the umbilical cord has been removed from both the mother and the child, it will be taken to another room in order for the blood to be collected. Often, when donation is involved, there will be much more blood extracted than if parents were storing the blood for personal purposes. 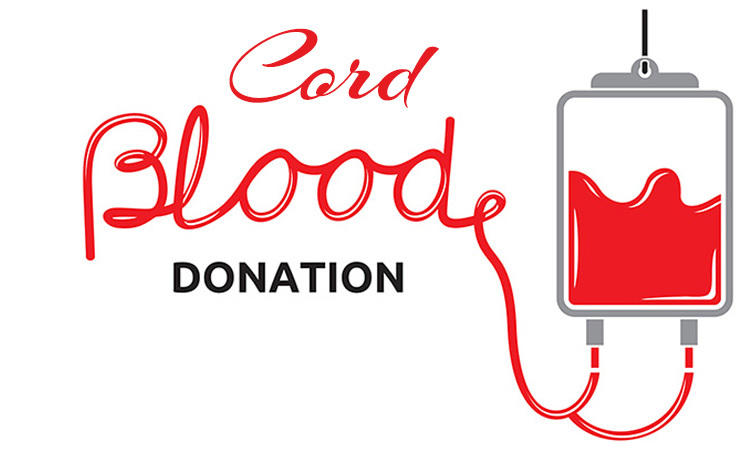 Once the blood has been extracted, it will be transported to the cord bank. 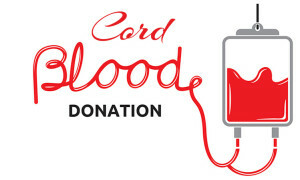 At the cord bank the blood will be frozen cryogenically, this will ensure that the stem cell rich blood is able to be kept for at least 5 years and probably more in the case of extremely healthy blood. As mentioned previously, the stem cells that are contained within umbilical cord blood are just about the best you can get. Just a small amount could quite literally save someone’s life. Umbilical cord blood donation is definitely worth considering. Donating umbilical cord blood is not just useful to directly help save lives, but it can also do this indirectly via research. There has been some research into umbilical cord blood and areas of health that do not fall under the immunological disorders category. So far, much of the research is speculative, but it’s definitely taking a step in the right direction. Currently, the use of cord blood for disorders that don’t involve immunology problems is not common, this is due to the fact that the stem cells within the blood are only able to mature into full blood cells and not into all types of tissue like embryonic stem cells are. However, the research in this area is going from strength to strength thanks to the high volume of cord blood donations from parents. These donations allow both clinicians and researchers to bond together and drive the research forward. Stem cell research has already come a long way in the last decade and it is only set to progress further. More and more doctors and researchers are being trained in stem cell development and currently, there are over 56 countries and 500 transplant centres involved in a coordinated effort to make a medical breakthrough.